An important factor in reaching Financial Independence is managing to generate a passive income. So what does that mean a passive income? A passive income means you generate a certain amount of money per month, without needing to do much for it. This does not mean that setting up your source of income does not require any work. Often it can actually mean that it requires much more work. At the same time keep in mind that investing can block your money for a certain amount of time, or might even cost money to invest in the first place. Let the money come in while you sleep! In order to generate money you will need to invest. Invest either your (initial setup) time or money that can then generate money. Keep in mind that storing cash does not count as an investment. As there is a yearly inflation, it is certain that the value of your cash will drop every year. At the most it can increase its value against other currencies, but not during investments in your country. Renting out a spare property is method that speaks to the imagination. It something you can own, see and touch. While there is a significant investment to be done, a rental property can give a steady flow of income. There is of course risks involved. You could end up with someone not paying rent, or you could face a natural disaster damaging your property. However I classify these risks as low and proper insurance can protect you against these risks. Of course you do put your money away for a certain amount of time. I would consider this at least a 5 year investment. Furthermore you need to do some effort to keep your rental property in a good shape. But I believe compared to a 9-5 job that this is a rather low effort. The platform allows you to choose the days that you can rent out to people. You can put a minimum and a maximum of days they can stay. But also more long term you could rent out a room in your house you no longer use. When I was renting out my apartment here to tourists, I made about 3 times what I would make if I rented out to regular renters. Another way to get some extra money is to rent out spare storage. Of course the easiest way is to just rent out a garage, a parking spot, but why not even consider a big locker you have standing around? Or a part of your garage. Do you need all the storage space you have, or can you part with some of it. When you think about it, how much of the time is your car just standing still. On the street, not doing anything. Did you consider already you can actually rent it out the 95% of the time you don’t use it? One platform called Drivy, allows anyone to rent out their car. The site lets you do a calculation on how much you could earn should you join the platform. This is something that requires a smaller investment. It requires almost no start up funds at all. If you are unsure what you are doing then consider to invest a fixed amount in funds every month. This is one investment I have been doing for a while now and even in a difficult year like 2018 I do not worry because I just invest a fixed amount every month. Both in good times and in bad. A special type of fund you can invest in is an Index Fund. It just tracks the index of a certain country. As the Western economy has always slowly gone up the last 100 years or so, at least on average its a rather safe fund to invest in. If you like to see a return in the form of cash every year consider to invest in stocks that give a dividend. Stocks that give a yearly dividend actually give you a share of the profit every year. Coca cola for example is around 3-4% of the value of the stock. On https://www.nasdaq.com/dividend-stocks/ you can for example see what US stocks give a high dividend. Again do your research because it is not because they give a good dividend this year, they will also do it next year. Another way to generate a passive income is to start a Website or a blog. Even if it only generates you 10 euro a month then it’s still 10 euros a month. If you re-invest that money and add more smaller websites over time this amount could actually grow out to a rather decent income. It does takes a little bit of investing, but the investment is rather small. Although you do invest time and a good blog can really take a full day of your time to write! Not sure much the writing type? Perhaps Youtube is more for you. Per million views you can make about 1000 – 2000 euro. Of course it does take a long amount of effort and time before you get there. You can pretty much expect not to have any income the first year, so make sure you actually enjoy what you do. If you have a popular blog, videoblog, website or Instagram account you can consider to become an influencer. Then basically company’s will pay you for marketing their items, or perhaps writing a review. You will need to build up a following somehow first, and this might not be so easy. 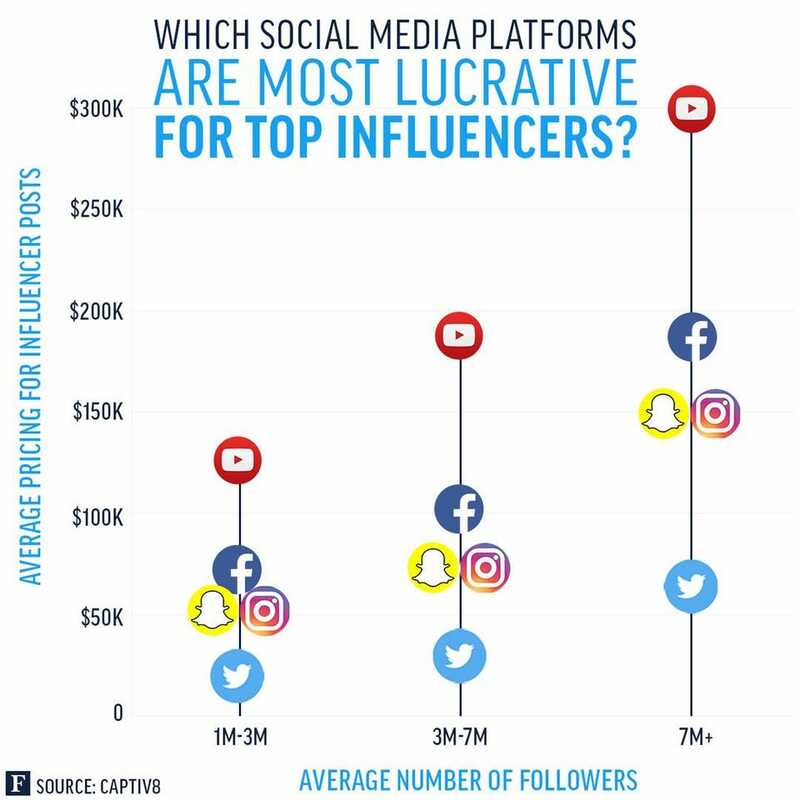 The most common platforms are Youtube, Instagram, Facebook, Twitter and Snapchat. Once you do have your following then you can start to at the very least save money. Do not be shy to reach out to products, brands, or even hotels to ask them if you can try out their product or hotel. Especially if you are well known and they are just starting they might consider the advertising you can bring them. Most likely you have items lying around that you have not used for several years. I myself have a rule, if I have not used it for 5 years I sell it. The exception is some smaller items having emotional value. There is other advantages in selling your old items. You free up storage space (perhaps you were even paying for some rented storage? ), plus you can re-invest the money you free up. There is a few Apps that actually allow you to sell your photo’s. Such as SmugMug and Foap. The advantage is you can reach a large target audience. But do not think that by taking a picture of the Tower Bridge by nightfall will make you big money. Or any money at all. You will need to be either very good or very original to make a good amount of money here. Writing an ebook, pdf, manual, tutorial,… This can all take up a huge amount of time and effort. However once your e-content is created it can make you a revenue stream for years to come. Just remember to sell quality, something you believe in and stand by or else it can cost you your reputation, people do not like to pay for something worthless and the word will get out. First I want to stress that this type of investment is high risk. But it can also bring a good yield. It is something I have done myself as well. So far I have invested a modest amount of money in 5-10 start ups. What made me decide to invest in start-ups is that the Belgian government is giving a 45% tax incentive to invest in start-ups. So if you calculate that in with above statistics then if you invest in a divers portfolio you will make a profit. But keep in mind it might take 10 years before you see any of your money back. Or you might lose it all. So have a look and check with your country’s government if any incentives are granted. The site I use to invest is https://www.spreds.com/en You can invest in a startup from even 100 euro’s. This is a Belgian site but for example https://www.seedrs.com/ is very popular in the UK. If you managed to start up a successful blog, vlog or instagram account, why not consider to sell some marketing materials such as T-shirts. The key here is to know your target audience and to only sell things that both they and you love. Do not sell low quality goods as it could bring you more damage then good. An alternative to videoblogging, there is a platform called Twitch ( https://www.twitch.tv/ ) that allows you to just game at your PC, stream it live and get paid for it. How does it work? People who watch your channel can donate money, depending of how good or entertaining you are you will receive more donations. The highest earning streamer on twitch is called Ninja and earns about 500.000 dollars every month. He does game for about 80 hours(!) a week. Consider to try out a crowdlendingplatform. The advantage is you can invest it right now, you can invest small amounts of money, and you will get a real passive income. You will not need to do anything. Of course there is risks involved. There is a reason people turn to crowdfunding, this is because the banks refused to lend them the money. So expect that you will get defaults on the money you loan out. For this reason you need to make sure to spread your money over different loans. What makes this interesting is that interests rates tend to be quite high in such platforms. So even including the defaults you can make a nice profit. One example is the Dutch platform “Geldvoorelkaar“. When you look at he statistics there we see that the average interest rates (after defaults) is about 4-5%. That’s actually a pretty nice return for not having to do anything at all. But there is 100s of platforms outthere for all kinds of markets. One I like in particular is peer to peer lending for property investments as you actually invest in something real, so the risk is a little lower. While a normal savings account gives a limited, or none, interest rate, a long term savings account gives a better revenue usually then a normal savings account. A 2% interest rate is not unusual but you need to be able to part with your money for 5-10 years. Not a great interest rate for such a long period, although it might beat the inflation. 18. Get out of Debt! Another way that is perhaps less obvious is to get out of debt. If you are in debt you actually have a negative passive income. Unless there is a specific reason why it would be good to be in debt (such as a tax incentive), then do whatever it takes to get out of debt. Its a fast and risk free method to increase your income. Perhaps you have some items lying around that you just use once a year? But someone else might also just need it once a year and does not want to buy it. A garden tent, an extension ladder, construction material,.. These items can get expensive to purchase while you just need them once. So perhaps some people are looking to rent them? Do you have a garden that you barely use at all? Or it’s just to big for you and is a lot of work to maintain it. Why not rent it out, for example for BBQ feasts, or let a neighbor start a vegetable garden. You can earn a little bit of extra cash and you save some on a gardener. Better of course would be that you use it to grow some of your own food, for that read my other blog where I mention how useful it is to have a vegetable garden. Take a look at the taxes you pay and find out if do not pay more taxes then you should. Is there any tax incentives around that you can use, such as investing in clean energy, start-ups, retirement saving, loans for a house..? Makes sure you are aware of what is out there, as you could be missing out on a lot of cash if you do not have your taxes optimized. Dropshipping is basically selling items online without actually having inventory of these items. You make a deal with the suppliers and let them send the items directly to your customer. For example you can sell items on Ebay and get a deal with a seller in China who will sell items directly to the customer. Although there will be a long wait time for your customer, it does allow you to start up rather risk free. There is plenty credit cards out there where you can collect points or even get cash back. I myself use a credit card from Miles & More that gives me regular miles. Especially if you have a lot of professional expenses it is worth it to look into these type of cards. Just make sure you do not end up spending more then you usually would! Previous Post Previous post: What does Financial Independence and Prepping have in common?